Unknown cacti species, dragon something? Huernia schneideriana has the common name "Red Dragon Flower", if that helps . PS; It is actually a succulent, not a cactus. Sweet. Looking forward to it flowering to get a specific ID. Any word if they're self-fertile? This isn't even one of the more wild looking ones! Stapelia is fascinating as well, along with stinky as hell as I recall working at a nursery couple years ago. They are awesome plants & I am always chasing new additions. 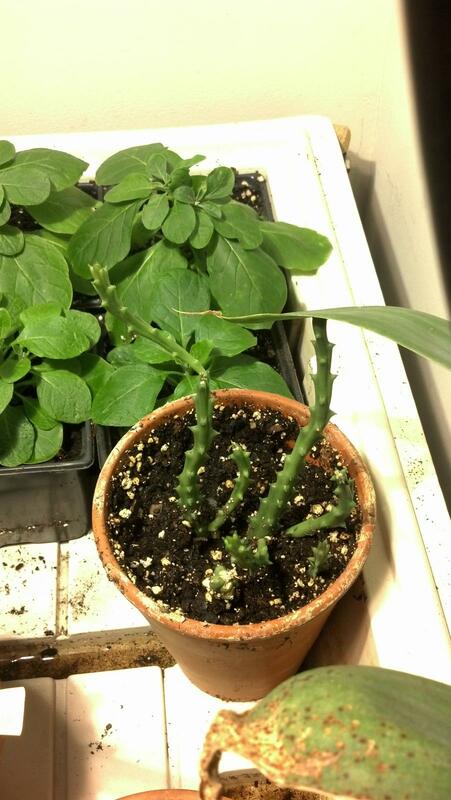 I was going to offer you a Stapelia leendertziae plant/cutting, but notice your location "mild Atlantic" . If you were in Australia I'm sure there would be members that could set you up with a few plants. That's very generous but no worries! The orchids of the succulent world.